As it’s Mother’s Day on Sunday, we’ve got seven great ideas for celebrating, including both low-cost activities and good-value gifts. Lots of local attractions offer free tickets to mums when they’re accompanied by someone paying full price on Mother’s Day. The Eden Project in Cornwall, the Sealife Centre in Brighton and the London Wetland Centre are just some of the places offering your mum a free pass at the weekend, and many of the venues are also offering special tea or lunch menus in their cafes. Check the websites of your favourite local attractions to see what they’ve got to offer. There’s a special Mother’s Day tour of the Tate Britain collection on Sunday, highlighting the mother-related images and explaining the significance of mother figures in art. It’s a cool idea, but if you don’t fancy splashing out on a ticket, you could just wander round an art gallery with your mum instead. The National Galleries in London and Scotland, and the Tate Galleries in London and Liverpool are free to enter and are jampacked with masterpieces, and you and your ma can try to spot your own favourite mother-child paintings. If you get art overload, you can always stop off at the gallery’s cafe for a tea and cake break. Spring is now officially here, so Mother’s Day could be a good opportunity to visit one of the National Trust’s gorgeous gardens or stately homes. National Trust properties across the country are putting on special events for Mother’s Day, including craft workshops, afternoon teas, daffodil walks and snowdrop planting. The cost of the events vary, but take into account the National Trust entry price too. To take part in snowdrop planting at Prior Park in Somerset, you just have to give a £1 donation, and you get to pot up a Prior Park snowdrop to take home too. Instead of buying an off-the-shelf gift or a bunch of flowers, consider putting together a personalised hamper. You could include homemade cakes, biscuits, sweets and jams, and a ‘mixtape’ of her favourite music on CD or USB, for example. You can also make your own face cream or moisturising lotion using ingredients like coconut oil and cocoa butter - check online for recipes. If making stuff isn’t your thing, a handpicked hamper of shop-bought things could be a good alternative. You could include things like scented candles, a bottle of wine or cordial, chocolate, and bubble bath. Most mums love going down memory lane, so frame a few favourite old snaps or put together a montage of family photos to give her as a gift. There are tons of websites that can help you create cool stuff from your photos, whether it’s a collage, a selection of wallet-sized pics, or a photo-printed mug or mat. Alternatively, if your mum has all the old photos in a huge box at the back of the wardrobe, going through them together and picking out your favourites could be a good activity for Mother’s Day. You can then give her the framed photos as a follow-up gift later on. 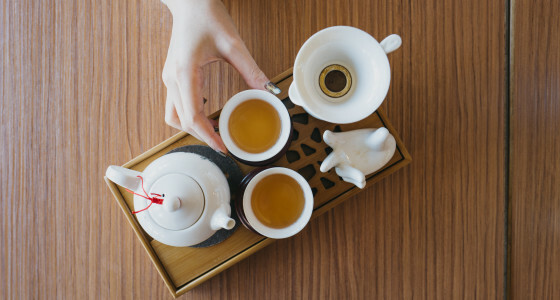 Lots of cafes and restaurants offer special Mother’s Day afternoon tea, but it can be quite expensive, and doing your own is more fun anyway. Buy a box of fancy tea and a bottle of Buck’s Fizz and make your own scones, sandwiches and fairy cakes. You could even pick up a pretty tea-set from a charity shop if you want to make things even more special. Mother’s Day is all about spending time together and taking an interest in each other, so it could be a good opportunity to include your mum in something you enjoy doing, or a perfect chance to do one of her favourite activities with her. Maybe take your mum along to a game of golf, a salsa lesson or a yoga class, or join her on her favourite walk or art class. If you’ve got any great Mother’s Day ideas, tell us in the comments at the bottom of the page.